Taxes are perhaps the most apparent source of state revenue, as they constitute the vast majority of each state’s general fund budget. But state governments also receive a notable amount of assistance from the federal government. In fiscal year (FY) 2016, 32.6 percent of state revenues derived from federal grants-in-aid. Federal aid is allocated to states for a variety of purposes, primarily to supplement state funding for programs or projects deemed to be of national interest. Some federal aid is awarded in the form of competitive grants, while other federal funding is allocated according to formulas established by law. 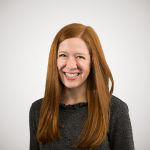 Formula grants usually incorporate factors such as population size, poverty statistics, and state matching dollars for distributing federal aid among states. Competitive grants are awarded on a discretionary basis and are more likely to fluctuate from year to year. 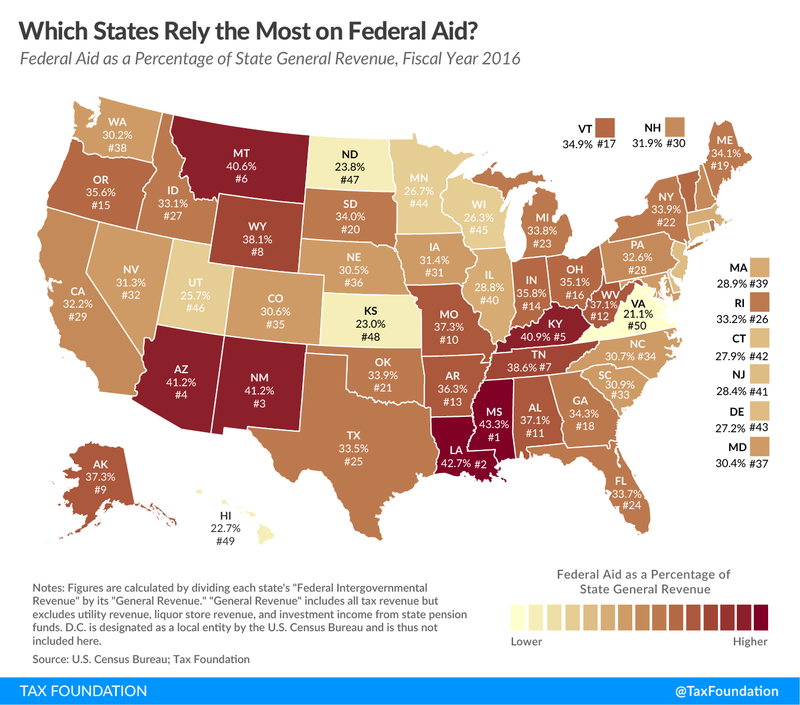 The map below shows the extent to which federal aid comprised each state’s total general revenue in FY 2016 (the most recent year of data available). That year, the states where federal aid comprised the largest share of general revenue were Mississippi (43.4 percent), Louisiana (42.7 percent), New Mexico (41.2 percent), Arizona (41.2 percent), and Kentucky (40.9 percent). The states for which federal aid comprised the smallest share of state general revenue were Virginia (21.1 percent), Hawaii (22.7 percent), Kansas (23.0 percent), North Dakota (23.8 percent), and Utah (25.7 percent). States that rely heavily on federal grants-in-aid tend to have sizable low-income populations and relatively lower tax revenues. States with relatively lower reliance on federal aid tend to collect more in taxes and have smaller low-income populations, although some exceptions exist. Notably, although North Dakota and Alaska impose relatively modest taxes on residents, both are resource-rich states that export much of their tax burdens through severance taxes, yet their reliance on federal aid differs greatly.